In a new paper that we have recently published, we found that people can be inoculated against the potentially harmful effects of anti-vaccine conspiracy theories, but that once they are established, the conspiracy theories may be difficult to correct. The paper with the tag-line “prevention is better than cure” has been published in the Journal of Applied Social Psychology by myself and Karen Douglas. The paper includes two experimental studies where participants were exposed to anti-vaccination conspiracy theories and factual information on vaccinations in alternate order. The participants then had to decide if they would vaccinate a child. We found that participants who were given anti-vaccination conspiracy theories, before reading factual information about vaccines, were less likely to decide to vaccinate a child. Those who had the factual information first were resistant to conspiracy theories and were more likely to vaccinate. 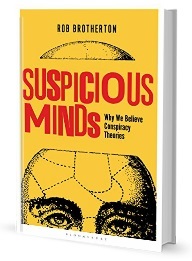 In our previous research, we have demonstrated that conspiracy theories can potentially stop people from engaging in society in a positive way (see various posts on this blog such as here). This current research highlights that once a conspiracy account has been established, it may be resistant to correction. It is, therefore, important that other tools are developed that may help combat the negative impact of conspiracy theories. You can access a full copy of the paper here.